Bermuda Gymnastics said they are pleased to say they have had a successful start to a six month fundraising push to raise $50,000 to send a team of 14 boys and girls to Ynys Mon for the Island Games gymnastics competition in July. 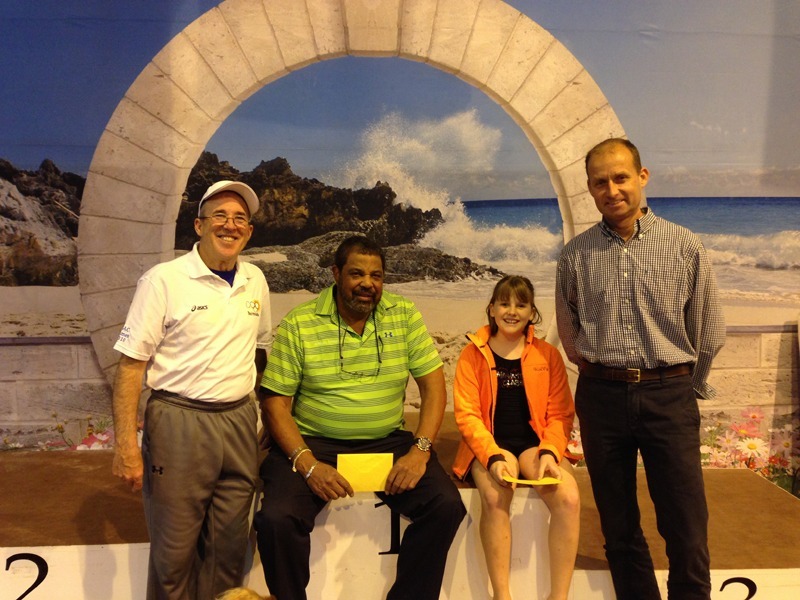 “Two very special individuals began the year by making gifts to Bermuda Gymnastics. Mr. Neville Trott, whose granddaughter Amari is a member of our competitive team, asked friends to make donations in lieu of birthday gifts – his generous partygoers raised $1,415,” a spokesperson said. “On the heels of these donations, Bermuda gymnasts of all ages encouraged family and friends to take part in, or donate pledges of support for, the 2015 Argus “Walks the Walk” 5k event, which was held on February 22nd. “The efforts were encouraged by two local companies who offered to match donations: Strategic Risk Solutions matched up to $2,000 and ASW Law matched up to $1,000. 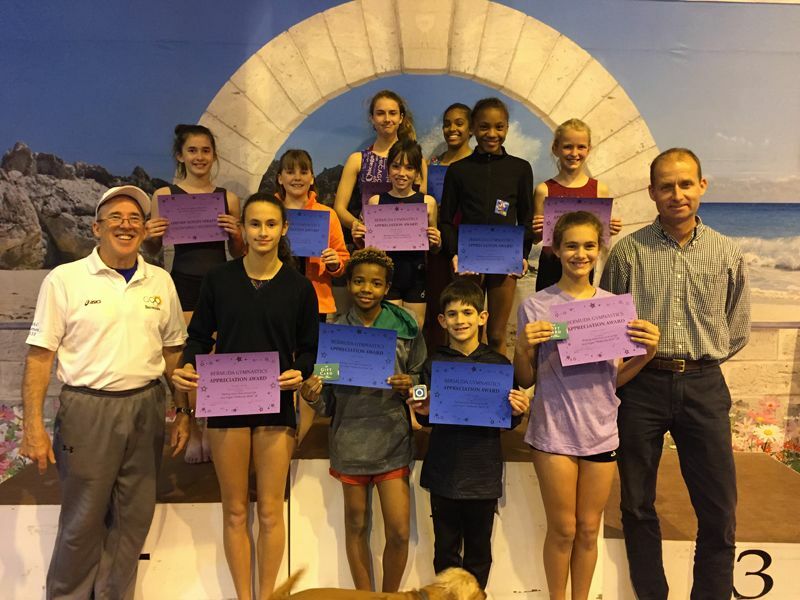 All in all, Bermuda Gymnastics raised $8,038 at this one event and was recognized as the Largest Non-Profit Team in attendance! “Special gifts were given to top overall earner Jordan Trimarchi, top girls team earner Samantha Soares, top boys team earner Taj Lowery and top junior team earner Talia Thompson. “Bermuda Gymnastics has several more fundraising events scheduled for the spring, and is appealing to the local community to support our young gymnasts. The team has a tradition of excellence at the NatWest Island Games and is training up to 20 hours each week to prepare their skills. Should use that money to send them to China.